0bjectives: Due to low inefficiency of traditional cook-stove pressure on forest resources is increasing. On the other hand, women and children suffer from indoor air pollution caused by traditional stoves during cooking. In addition to this, it is accelerating the climate change process by emiting green house gases. Under ÒMarket Development Initiative for Bondhu Chula” Project five lac Bondhu Chula named improved cook-stoves will be distributed and after sales service will be provided to keep the Bondhu Chula in good operating conditions. Thus the objectives of the project are: reduce pressure on forest-resources, reduce indoor air pollution, minimize health risk and reduce emission of green house gases. Achievements: 1. Up to September 2013 approximately 3.5 lac Bondhu Chula have been installed; 2. In the same time, approximately five thousand entrepreneurs have been created. 0bjectives: 1. Reduction of Green House Gas (GHG) from the Municipal waste; 2. Introduction of 3R (Reduce, Reuse and Recycle) concept; 3. Awareness building among the city dwellers about 3R concept; 4. Building clean and healthy city in Bangladesh; 5. Providing alternative income generation activities to poor people of urban areas by converting waste to compost fertilizer; 6. Providing additional financial assistance for waste management through selling CER in the international CDM Market; 7. Improving soil quality by using organic fertilizer. Activities: 1. Baseline survey for the estimation of the rate of waste generation in the urban areas in Bangladesh; 2. Baseline survey for identification of physiochemical characteristics of waste generated in the urban areas in Bangladesh; 3. Baseline survey for GHG emission in the municipal waste sector; 4. Preparation of Project Idea Note (PIN) and Project Design and Documents (PDD) for programmatic CDM for 64 districts; 5. Training and awareness building for implementation of 3R concept in waste management system; 6. Construction of composting plant and transfer station in the project areas; 7. Waste Collection and separation involving civil society and NGOs; 8. Producing compost fertilizer using organic waste through compost plant; 9. Selling Certified Emission Reduction (CER) in the international CDM market. Achievements: 1. Selection of local consultant (Waste Concern Consultants). (Dated: 23.10.2011); 2. MoU signing with The Royal Danish Embassy Dhaka. (Dated 24/01/2012); 3. MoU signing with City Corporation /Puroshava. (Dated 09/05/2013); 4. Baseline Survey and Chemical test has been completed; 5. Construction of compost plant for Narayanganj City Corporation start. (Dated 21/04/2013); 6. Design of Training module, flyers and folder has been completed, it will be published within short time; 7. 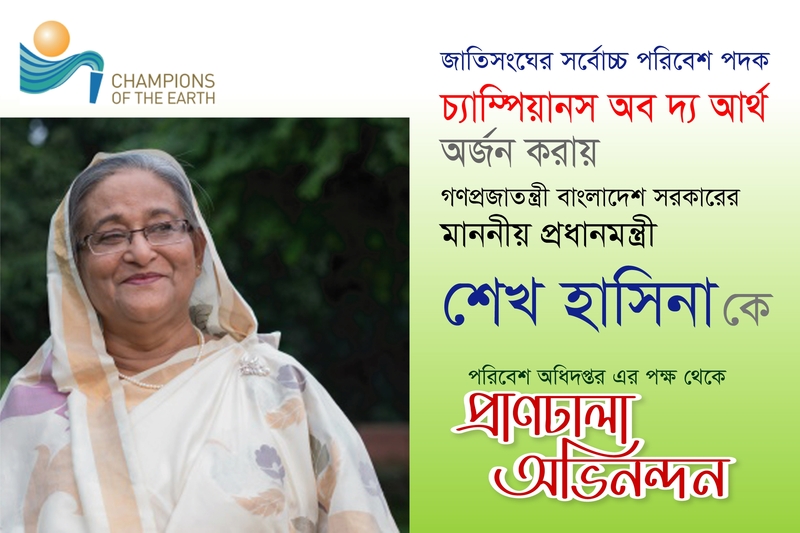 The tender of compost plant construction at Mymensingh Pourashava will start with in short time; 8. The selection of Firms of Documentary making will be completed within next month; 9. Time extension (up to Dec. 2013). We proposed extension up to April 2015; 10. Selection of validator for validation completed; 11. Development of PIN and PDD completed and approved by the National CDM board Committee; 12. 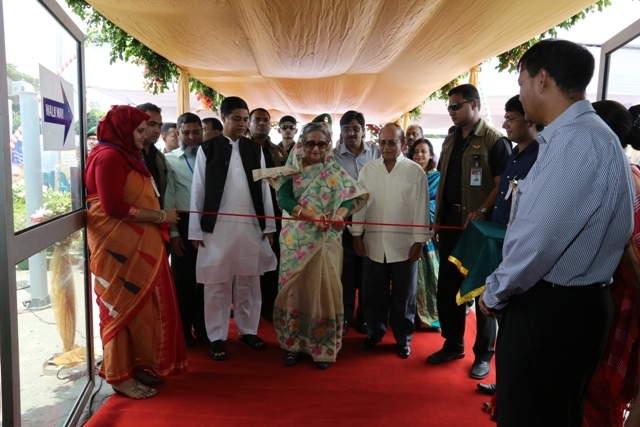 EIA of Narayangganj Compost plant site has been Completed ; 13. EIA of other project area will be finished very soon. 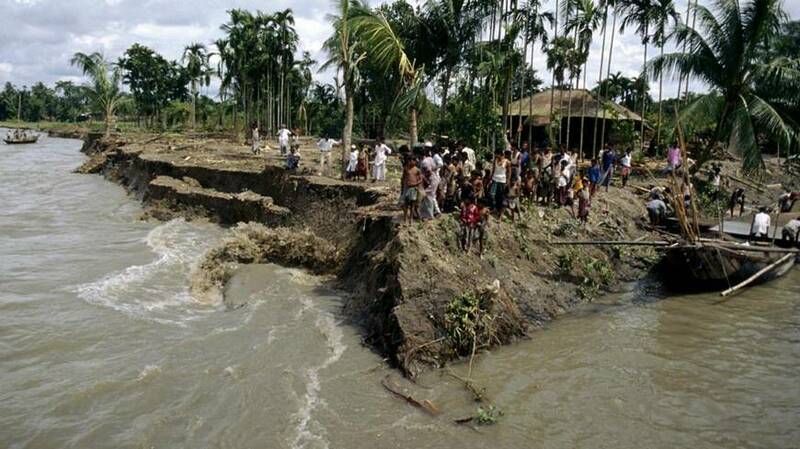 Fund by: Bangladesh Climate Change Trust Fund (BCCTF). 0bjectives: 1. 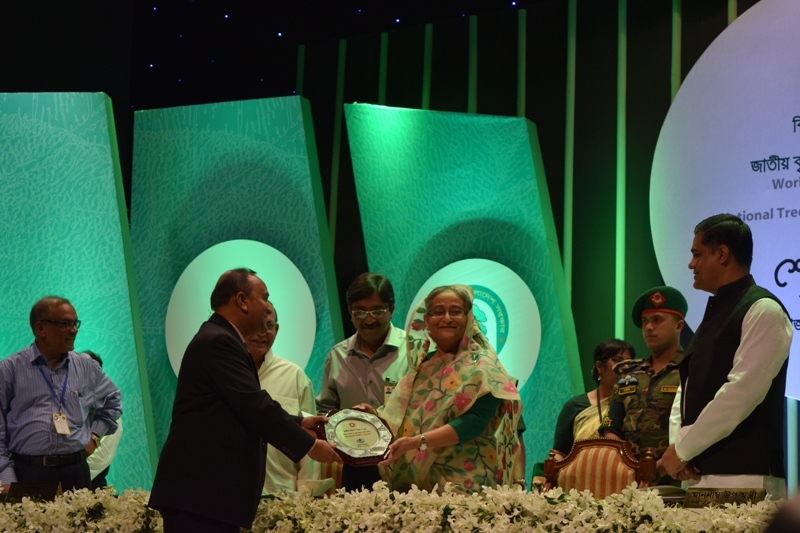 To promote 3R initiative throughout Bangladesh. 2. To raise public awareness about the benefit of waste segregation at source and recycling of waste. 3. To reduce the amount of waste in land filling areas 4. To take initiative for the management and recycling of waste by using public-partnership as a tool. 5. To introduce the 3R strategy in corresponding project areas through exhibition and pilot program. 6. To create job opportunity for the poor city dwellers. 7. 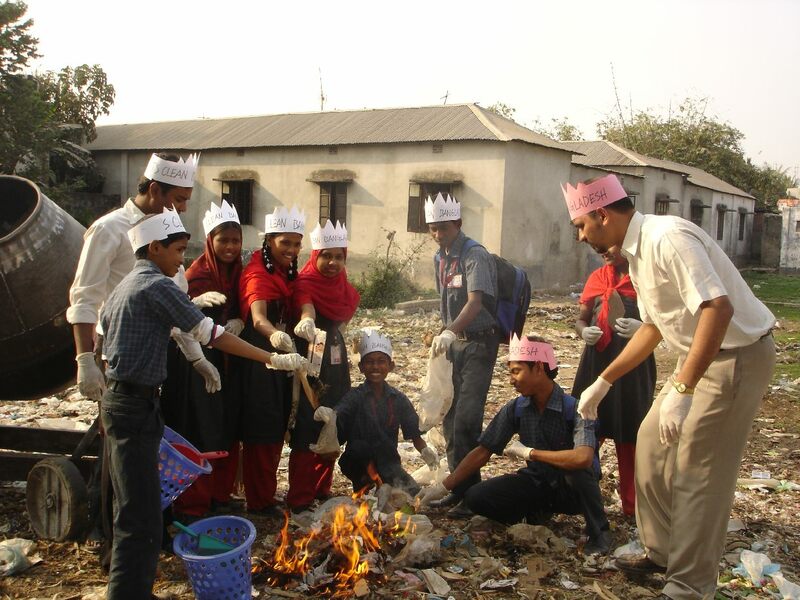 To train-up and empower the stakeholders engaged with the waste management and recycling process. 8. To integrate the project initiative with the existing recycling and composting business. 9. To encourage producers, customers and factory owners already practicing the principles of 3R. 10. To reduce green house gas emission from land filling activities. 0bjectives: The overall objective of the project is to strengthen the co-management model for the Ecologically Critical Areas (ECAs). 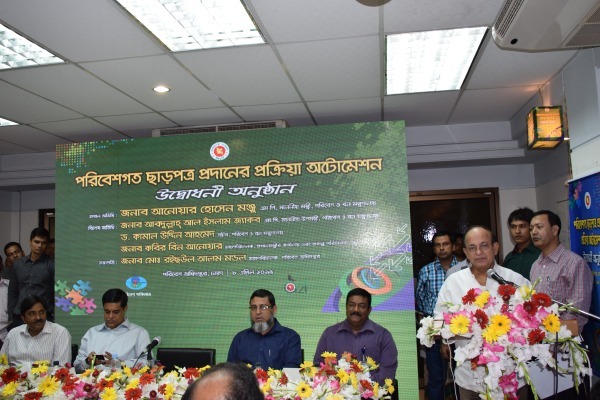 The project are being implemented at three ECA sites: Teknaf Peninsula (Cox’s Bazar-Teknaf sea beach) ECA, Sonadia Island ECA and Hakaluki Haor ECA. Specific objectives of the project are: a. 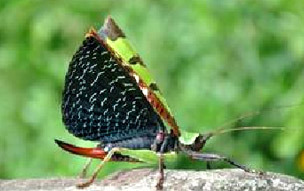 Strengthen biodiversity conservation activities; b. Strengthen alternative livelihoods generation activities; c.	Introduce climate change adaptation measures/activities; d.	Strengthen the institutional mechanism established; e.	Enhance DoE experience on the areas. Activities: 1. Update Conservation Management Plans (CMPs) for Cox’s Bazar-Teknaf Peninsula, Sonadia Island and Hakaluki Hoar ECAs; 2. Facilitate functioning of 68 Village Conservation Groups (VCGs) in the 3 project ECAs; 3. Hold around 1000 awareness meetings for local communities on biodiversity conservation and climate change adaptation in the 3 project ECAs; 4. Stage 30 awareness raising folk show in the 3 project ECAs; 5. Develop 68 VCGs Annual Action Plans in the 3 project ECAs; 6. Organize agricultural demonstration in the 3 Project ECAs; 7. Impart 33 IPM trainings to local farmers within the project ECAs; 8. Distribute saline tolerant crop/variety seed to 500 local farmers coastal ECAs; 9. Carryout 360 ha. of mangrove plantation in Sonadia, Cox’s Bazar- Teknaf ECAs; 10. Ensure protection of 500 ha. of natural mangrove in Cox’s Bazar and Teknaf, Sonadia ECAs; 11. 7 ha. swamp plantation in Hakaluki Haor ECA; 12. Protect 775 ha. natural swamp and wildlife conservation area in Hakaluki Haor ECA; 13. Carryout 60 acres of sand dune plantation in Cox’s Bazar and Sonadia; 14. 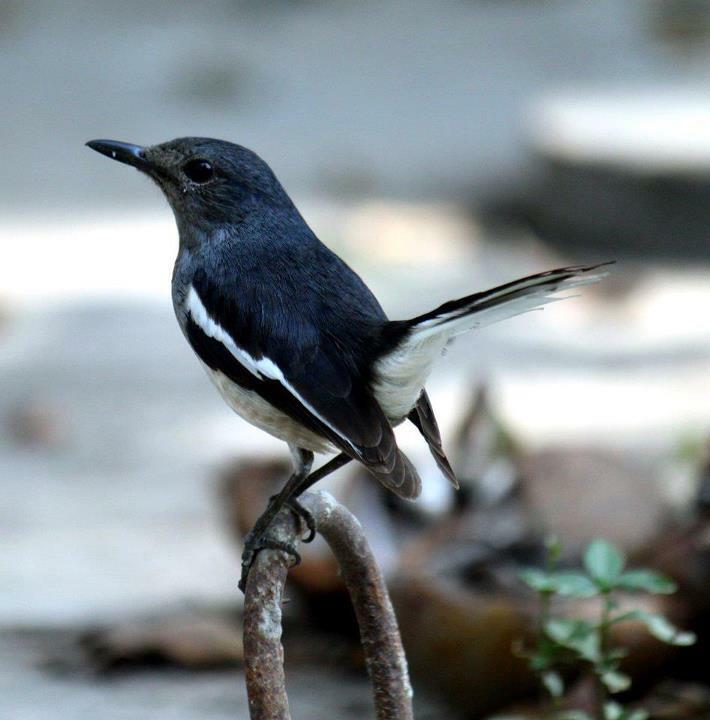 Establish 12 bird conservation areas in the project ECAs; 15. 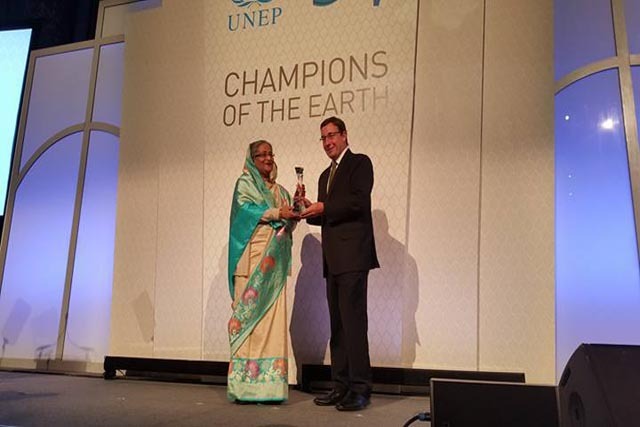 Establish 8 fish sanctuaries/ conservation areas in HakalukiHaor, Cox’s Bazar, Tekanf; 16. 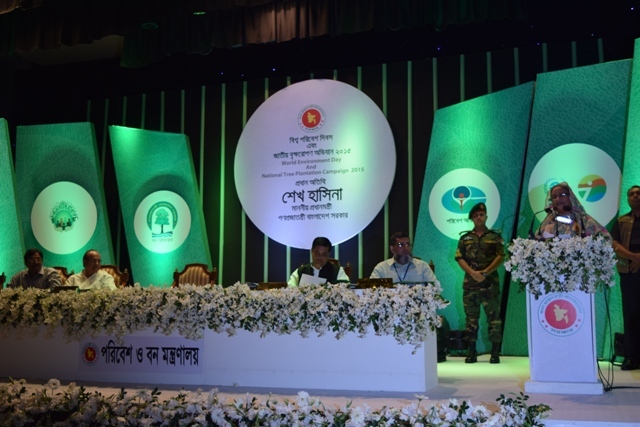 Establish 9 community conserved areas in Cox’s Bazar; 17. Establish and maintain 2 mudflat and 2 rocky-intertidal conservation areas in Cox’s Bazar; 18. Plantand distribute 2,00,000 saplings of indigenous species at homestead and institutional level Hakaluki Haor and Cox’s Bazar area; 19. Distribute 1000 units of improved cooking stoves 40 solar panel among local people in 3 Project ECAs; 20. 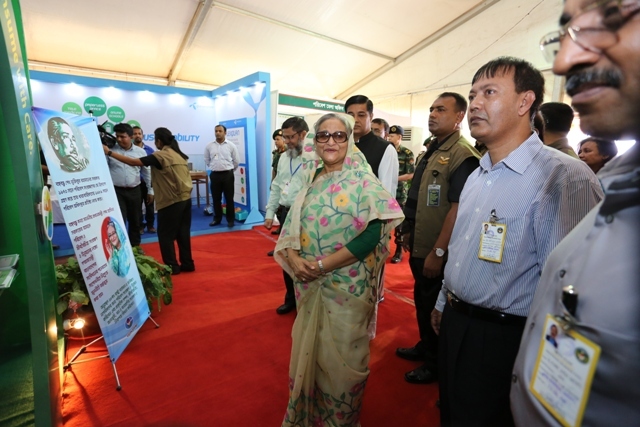 Establish and operate 5 sea turtle hatchery in Cox’s Bazar and Sonadia ECAs; 21. 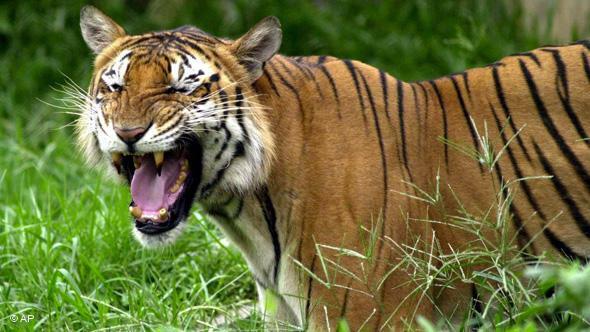 Deploy community guards for protection of conservation guards in the 3 project ECAs; 22. Prevent environmentally harmful activities in the project ECAs; 23. Hold stakeholder workshops within the project areas; 24. Conduct 3 research on climate change adaptation in the coastal ECAs. Achievements: 1. The 3 CMPs are being updated; 2. 68 VCGs functioning, 2 of the VCGs are new and 9 of those have been registered with cooperative department (all the VCGs are now registered); 3. More than 1150 awareness meetings held; 4. Organized 25 folk shows; 5. Action plans developed for 68 VCGs; 6. 620 demonstration plots established; 7. 40 trainings imparted; 8. Distributed seeds to 950 local farmers at Cox’s Bazar District; 9. Planted 361 ha. of mangrove in the mentioned areas; 10. Protected 650 ha. of natural mangrove; 11. Planted 7.3 ha. of swamp; 12. Ensured protection of 1045 ha.swamp and wildlife conservation area; 13. Planted and protected 60 ha. sand dune vegetation; 14. Established 14 bird conservation areas in the project site; 15. Established 4 fish sanctuaries/ conservation areas; 16. Established 9 community conserved areas; 17. Establish and maintain 12 mudflat and rocky-intertidal conservation areas; 18. More than 1,90,000 saplings have been planted and distributed; 19. Distributed more than 1000 units of improved cooking stoves 40 solar panel among local people; 20. 5 sea turtle hatcheries have been established and operated; 21. 43 community people were engaged as guards; 22. Nearly 60 harmful events/activates have been prevented; 23. 2 District level workshops were held with stakeholders; 24. 3 research works accomplished. Institutional Strengthening for the Phase-out of Ozone Depleting Substances (Phase-VI). 0bjectives: 1. Main objective of the Renewal of Institutional Strengthening for the Phase-out of Ozone Depleting Substances (Phase-VI) project is to follow up the activities of the Ozone Cell as constituted within the Department of Environment under Phase-I to function as the focal point for coordination of all activities related to the implementation of the phase-out action plans specified in the Country Programme. Activities: 1. To meet Protocol obligation; 2. To control ODS import and uses as per requirement of Montreal Protocol; 3. To raise awareness activities; 4. To amend existing rules of ODS as per accelerated phase-out schedule of MP held during 19th MOP; 5. Enactment of new rules for pharmaceutical sector; 6. To assist implement other ODS related projects; 7. To assist foreign mission related to Montreal Protocol; 8. To assist the government on policy related matter; 9. To assist promote use of alternatives. Achievements: 1. Control ODS import and uses as per requirement of Montreal Protocol; 2. Raise awareness activities; 3. HCFC survey for the year 2009 & 2010 has been done and baseline consumption of HCFC has been determined; 4. HCFC Phase-out Management Plan -HPMP Stage-I has been prepared & approved by 65th Ex.Com meeting; 5.	International Ozone Day has been observed each year on 16 September; 6. Commemorative stamp has been released on 25th anniversary of Montreal Protocol & another commemorative stamp has been released for the achievement of phasing out CFCs from Metered Dose Inhaler productions; 7. 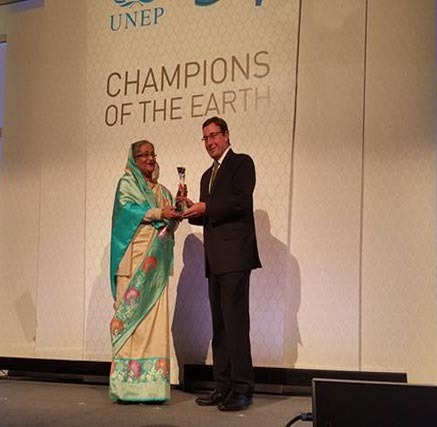 Bangladesh has been appreciated & recognized by UNEP for her achievements in Montreal Protocol related activities; 8. Draft of amended “Ozone Depleting Substances (Control) Rules, 2004” is underway for vetting; 9. Assist implement other ODS related projects; 10. Assist foreign mission related to Montreal Protocol; 11. Assist the government on policy related matter; 12. Assist promote use of alternatives. Fund by: Multilateral Fund (MLF) through United Nations Development Programme (UNDP). 0bjectives: 1. The objective of this project is to phase out the use of HCFC-141b in the manufacture of insulation foam for domestic refrigerators in Walton Hi-Tech Industries Limited, Bangladesh. 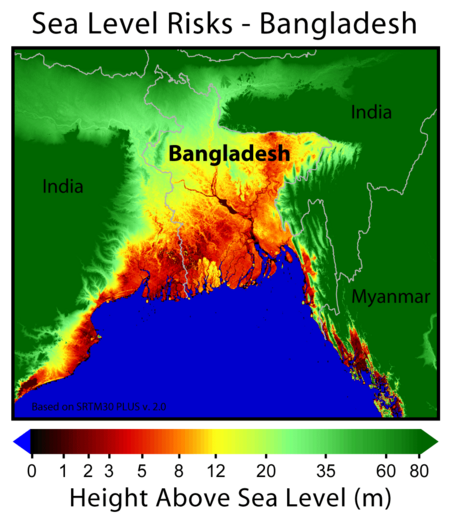 This will result in phasing-out 183.7 MT of HCFC-141b in Bangladesh as per 2009 survey report; 2. The specific objectives are: i ) To Provide specific equipment necessary for the conversion from HCFC-141b to cyclopentane technology; ii) To provide incremental operating cost to minimize the loss of the company during the conversion project and to stable the market price of the product, iii) To ensure safety and environmental sound technology within the project. Activities: 1. Civil and miscellaneous works; 2. Electrical Works for the conversion complying with safety regulations; 3. Procurement of new equipments; 4. Retrofit / replacement of existing equipments; 5. Technical assistance from external process expert and training of project personnel; 6. Trial production; 7. Safety audit; and 8. Commissioning of newly established plant. Achievements: 1. Civil and miscellaneous works; 2. Electrical Works for the conversion complying with safety regulations; 3. Procurement of new equipments; 4. Retrofit / replacement of existing equipments; 5. Trial production; 6. Commissioning of newly established plant; 7. HCFC-141b has been phase-out for foam production in refrigerator sector in Bangladesh on December 2012. 0bjectives: 1. Main objective of this project is phase-out the consumption of 76.3 ODP Tonnes of CFC-11 and CFC-12 used in the manufacture of Metered Dose Inhalers (MDIs) in Bangladesh by 2013; 2. The specific objectives of the project are: To phase-out the use of CFC through converting CFC-based MDIs in Beximco Pharmaceuticals Ltd., The Acme Laboratories; and Square Pharmaceuticals Ltd. to HFA based products by providing Technical and Financial assistance under the project. 6. Disbursement of incremental operating costs. Achievements: 1. Development of HFA based MDI product; 2. Retrofit for HFA based MDI production; 3. Launched HFA based MDI in the market; 4. Disbursement of incremental operating costs; 5. 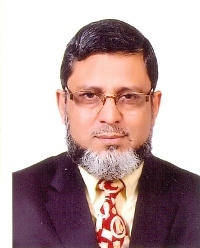 CFCs have been phased-out from MDI production in pharmaceutical industries in Bangladesh on December 2012. Implementation period: July 2008 to June 2014. 0bjectives: 1.To strengthen capacity to plan, monitor, regulate and implement SEIs in transport and brick making industries; 2. To reduce emissions from the brick making industry; 3. To reduce congestion by improving traffic flows; 4. 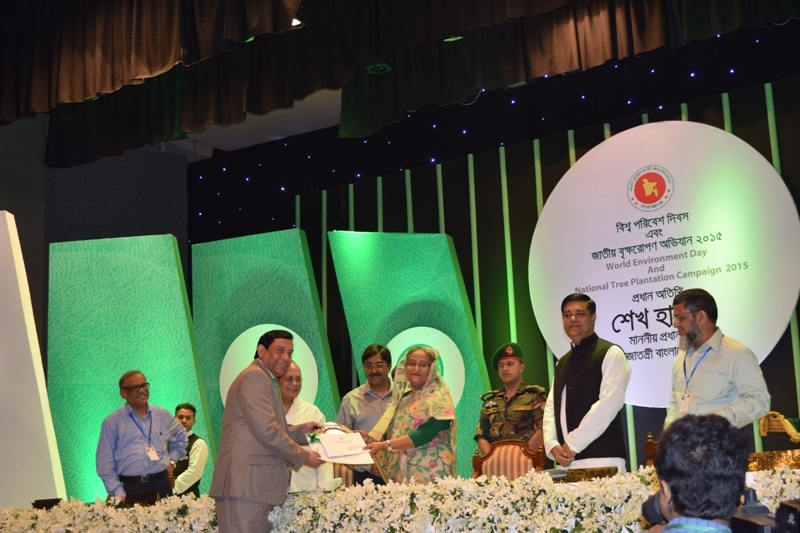 To lay the foundation for reforming the existing bus operations and to introduce Mass Transit such as Bus Rapid Transit (BRT) in capital Dhaka in line with Strategic Transport Plan (STP) of the government; 5. To provide the institutional and regulatory underpinning for initiating bus sector reform and reduce vehicular emissions; 6. To strengthen the institutional capacity to implement Sustainable Urban Transport (SUT) intervention and 7. To enhance the capacity to anchor the implementation of various project components. Activities: Capacity building for AQM 1. Supporting and strengthening the DOE’s Air Quality Cell; 2. Establishment of new Air quality monitoring stations; 3. Data analysis and reporting; 4. Revision of air Quality Standard and Vehicle standard; 5. Publishing Air Quality Index. Brick Kilns Emissions Management 1. Introducing cleaner technologies & practices through pilots & technical services development as well as demonstrations; 2. Establishment of Brick Information Center. Media Campaign 1. Website development; 2. Preparing awareness building materials; 3. Conducting consultation workshops on emissions issues. Achievements: 1. Expanded air quality monitoring network by installing 6 new continuous air monitoring stations (CAMS) and refurbishing 5 old CAMS; 2. Networking of all 11CAMS for retrieving air quality data centrally for analysis and reporting; 3. Monthly reports on air quality data are published in CASE website along with DOE website; 4. Revision of Bangladesh national ambient air Quality Standard (BNAAQS) and Vehicular emission standard (VES) has been suggested and awaiting Gazette publication; 5. Air Quality Index (AQI) category has been revised and now under process of publishing; 6. DoE staff members are trained (both home and abroad) in the field of operation and maintenance of CAMS, QA/QC of AQ data, AQ data analysis and reporting; 7. Two demonstrations on cleaner technologies and practices already completed and implementation of 12 other pilot demonstrations are underway; 8. Brick information center has been established to disseminate information related to cleaner technologies and practices in brick sector among brick entrepreneurs; 9. 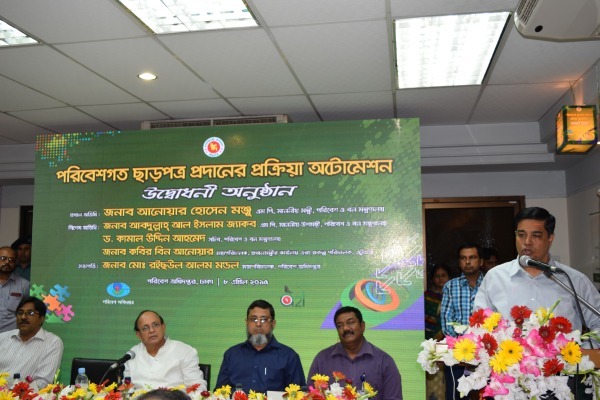 Several consultation workshops have been organized in different cities of Bangladesh. 10. CASE website is already being developed ( www. 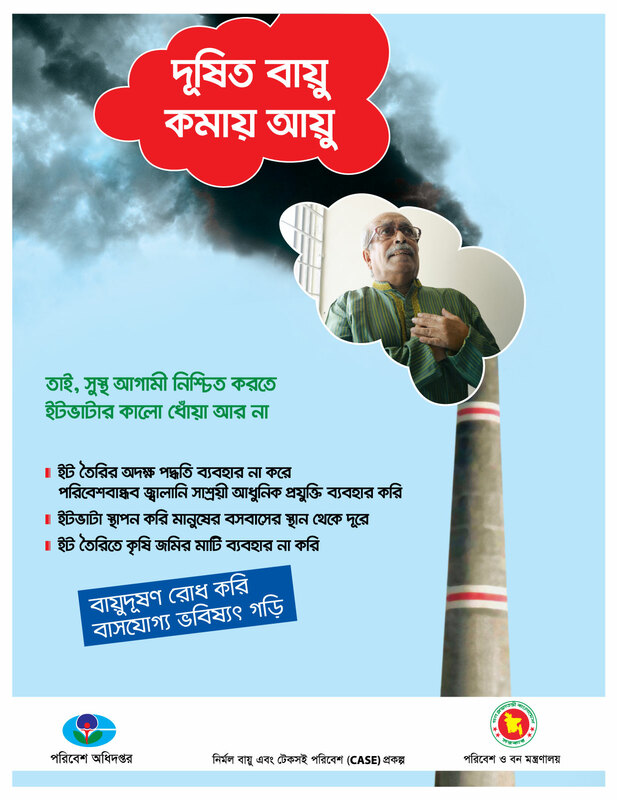 case-moef.gov.bd); 11. Number of awareness materials developed and printed. The materials have been distributed during celebration of World Environmental Days and also through DoE offices. Fund by: International Development Agency (IDA) and Government of Bangladesh (GoB).